Do you have lots of algae and weeds distracting from the beautiful reflections in the clear water you once had? Iowa Pond can help you get control of the weeds and algae and rediscover the beauty of the pond you enjoy. Iowa Pond Construction will guide you through the process of identifying and eliminating the unwanted weeds and algae in your pond. Their experts will recommend the control products right for you, your pond, and your budget. Weeds don’t show up over night, they probably won’t disappear over night either. 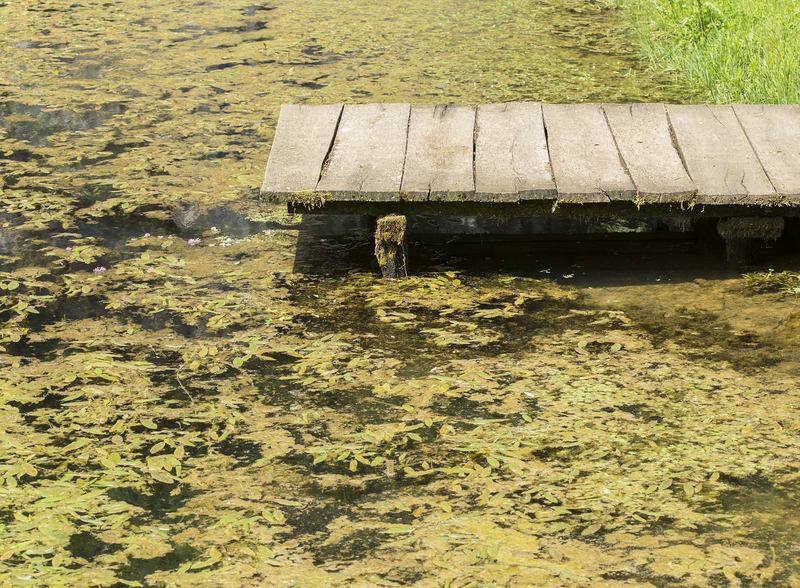 Unwanted weeds in your pond can quickly invade and take control of your pond. Iowa Pond will prescribe a treatment method that fits your budget, your time frame, and your preferred method of weed control. This might be a fast chemical control product that quickly eliminates your weed species combined with products to maintain the weed control and develop desired species in the pond or a slower more natural process that eliminates over time. We use chemicals that are safe for you, your pond, and its inhabitants. With time, effort, and patience, we will eliminate your weeds. How does Iowa Pond Construction work on weed control? We guarantee results. It takes time for pond problems to develop and we know it takes time to resolve those same pond problems. We will work with you to determine the problem, prescribe a solution and develop a monthly and yearly plan for clean up and then ongoing pond maintenance. Continuous maintenance to observe new weed and aquatic species growth in the pond is a key element to successful weed control. Iowa Pond experts will guide you in the right direction throughout this process. Identify the weeds and algae in your pond. The first step in weed control is identifying the weeds and invasive species in your pond. Without proper weed and algae identification weed control may be ineffective. Each weed control product is specifically designed to control specific aquatic species while maintaining a healthy pond environment for the desirable plants and other aquatic species in your pond. Select a Weed Control Product that’s right for you! Weed control products are uniquely and individually developed to treat specific weeds and species. Using the right product for your pond and the weeds and algae you want to control is essential to the overall health of your pond. Iowa Pond experts will help prescribe the right products to achieve the results you desire.